Members of the European Parliament have hailed the peace initiative of the Taiwanese president and the role Taiwan is taking in promoting and ensuring regional stability amid the East China Sea dispute. Tensions have been rising in recent weeks in the oil-rich waters with the US last week dispatching an aircraft carrier in a show of American power. 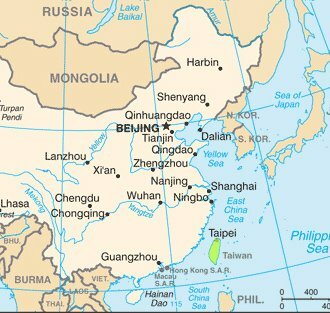 China claims nearly all of the East China Sea but other Asian nations, including Taiwan, also claim parts of the sea. The row has led to bitter confrontations between the Chinese and Japanese in recent weeks and there are fears this could spread to other parts of the region. In a bid to defuse rising tensions, the Taiwan president Ma Ying-jeou has put forward the 'East China Sea peace initiative' which calls on all sides to resolve the row peacefully. Ma calls upon all parties concerned to "demonstrate restraint and avoid escalating confrontational acts, shelve controversies and not abandon dialogue and respect international law". He also urges China and its neighbours "to establish a mechanism for cooperation on exploring and developing resources" in the waters. The disputes attracted little international interest until the late 1990s when surveys indicated possible large oil reserves. Ma's efforts were this week hailed by ECR MEP Charles Tannock, who said, "President Ma is a leader with a vision for his country. His determination to reduce tensions and build trust in cross-Straits relations has paid dividends. "His East China Sea Peace Initiative is a courageous and timely proposal that will hopefully bring about a permanent reduction of tension in the region." Graham Watson, an ALDE deputy, agrees and described the initiative as an "excellent" move. He also called on "all sides to come together" to resolve the impasse and suggested that the disputed islands might be turned into a "centre for renewable energy". Lithuanian MEP Laima Andrikiene, deputy chair of parliament's Taiwan friendship group, said, "Taiwan is an important player in the promotion of regional security. "Parliament recognises and supports Taiwan's efforts in maintaining peace, good cross-strait relations and stability in the region."